Ronnie Hyde in court Monday for a hearing on a defense request to suppress virtually all the evidence in the case. 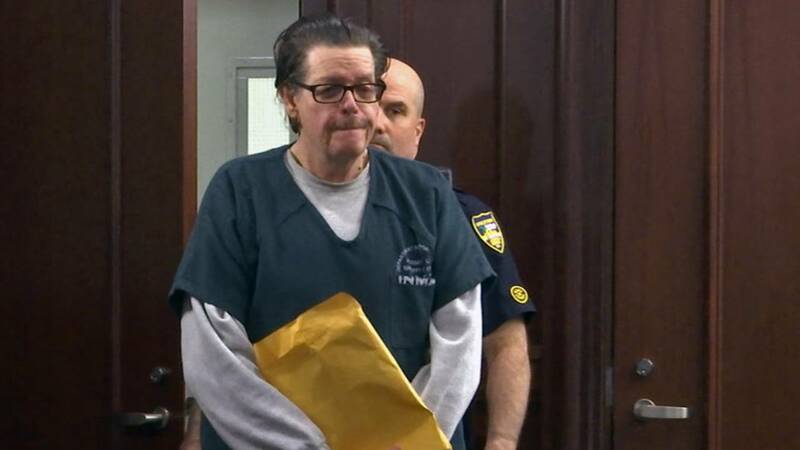 JACKSONVILLE, Fla. - Ronnie Hyde, the Jacksonville Beach man charged with killing and dismembering a 16-year-old boy in 1994, was in court Monday for a hearing on his attorneys' request to throw out virtually all evidence in the murder case against him, including Hyde's statements to the FBI. Hyde, a one-time youth pastor, was arrested two years ago and accused of killing Fred Laster in 1994. The boy's whose body was found in pieces dumped off Interstate 10 in Columbia County. In addition to throwing out Hyde's FBI statement, the defense is asking a judge to throw out all evidence officers found at Hyde's Jacksonville Beach house and inside his car, saying it was seized without probable cause. Judge Angela Cox set aside two hours on Thursday for arguments on the motion. Hyde was questioned by the FBI in March of 2017. Hours into the conversation, he asked for a lawyer when he was asked about some incriminating evidence in Laster's death. The issue for the defense is statements made to the FBI while Hyde was waiting on an attorney. According to a transcript, as the men sat, Hyde questioned the agent, "The entire family, I guess, knows that he's, his body has been found, he's dead?" Hyde said that was "shocking" for him to hear. Hyde then repeated things he'd said earlier about Laster having been seen at his house and in his car. Hyde then noted: "That's why I say it looks kind of bad. That's why I would, I would need to consult with an attorney." In a hearing late last year, Hyde’s lawyer also brought up questions about DNA found on Laster’s remains in Lake City. There was unidentified DNA found on Laster’s remains that to this point remain unidentified. This is leading Hyde’s attorneys to question whether Hyde did, in fact, abduct Laster. At that same hearing, prosecutors questioned other past alleged victims of Hyde. They are grown now but at the time, they were teenage boys who testified Hyde developed a sexual relationship with them at his home.